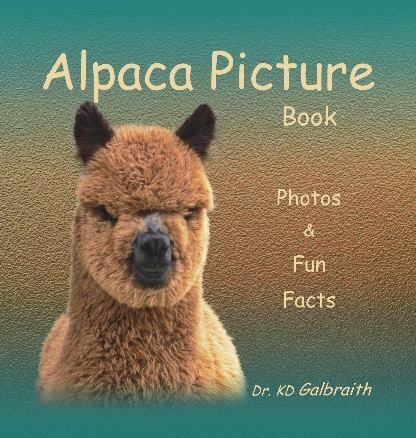 The alpacas are feeling the effects of the extended heat wave and so are we. With temp’s over 100 degrees since mid June it has been extremely stressful. We’re facing killer heat this week as the temperature rises even higher. The forecast is calling for 112 today and 114 degrees tomorrow. 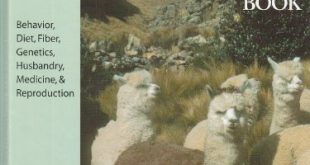 We’ve raised alpacas for over 10 years and this has been the most difficult and hottest summer we have ever had to go through. 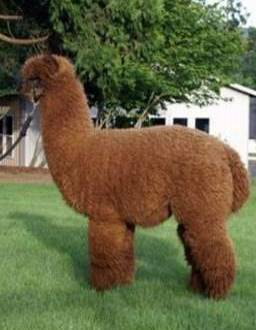 We had one young male alpaca go down a couple of days ago, Calendar Girl and Alliance’s boy, Tanner. Then Dave brought home another boy from another farm that was already having heat stress. I’m constantly running outside to tend to them. I’ve been giving them Gatorade and FIBRevive to help their bodies regulate. Thank God we finally got our well working so at least I’m able to spray them with cool water. Most important this year has been a lot of prayer!!! Plenty of shade… we have tents and shade trees. We spray them with water on their legs, armpits, belly and under their tail… when we have enough water. We use big industrial chicken house fans blowing through the barn. 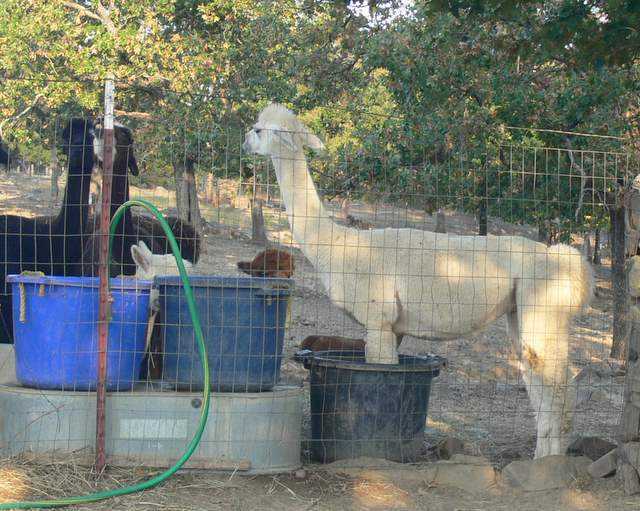 We keep them low to the ground so they’ll cool the alpacas down at their level. Fresh water with electrolytes every morning and evening. We use horse electrolytes because they go much further than the individual packets. We try to rake up any excess hay on the ground. 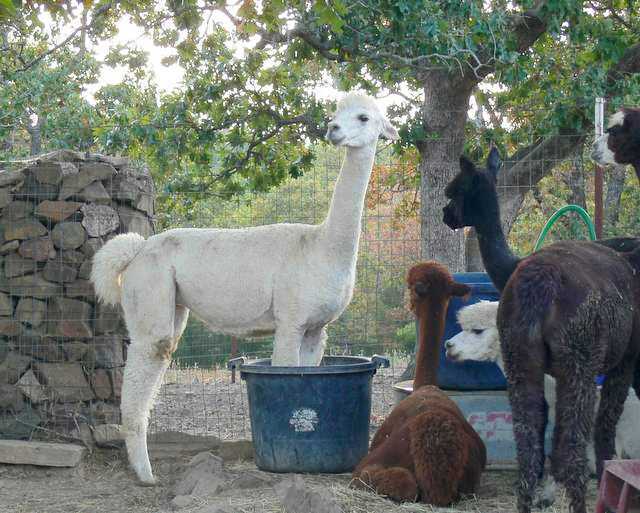 Then we wet the ground so the alpacas have a cool place to lie down. Freeze plastic gallon jugs with water and then place them in their water and around their fans on the ground. We have several alpacas that like to wade in the water buckets. As you can see in the pictures Bianca enjoys keeping her feet cool. We had to raise some of the buckets so they would have clean water to drink. Wading in a bucket or a kiddie pool is fine but too much water rots their hair off. Although when it’s this hot I don’t care how much hair rots off. I just want everyone to make it through this extreme heat. Heat is cumulative so it looks like we’ll have to continue with our routine beyond summer. 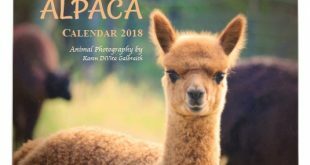 Please feel free to add to our list and let us know how you keep your alpacas cool in the summer. The more ideas the better because it helps anyone that reads this… thanks! Oh and don’t forget about your guardian dogs they’re susceptible to the heat too.